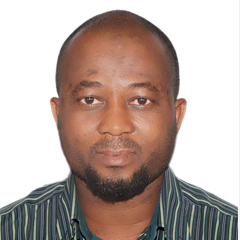 Dr. Adewole has taken part in a number of research projects some of whom are multidisciplinary based projects involving chemists, materials scientists, chemical/polymer engineers and petroleum engineers. He is also involved in training of graduate and undergraduate students. Before joining CIPR, he was a Graduate Assistant at the Obafemi Awolowo University, Nigeria where he was involved in research and teaching. He was a visiting researcher to the School of Chemical Engineering, University Sains Malaysia. Ph.D., Chemical Engineering, Universiti Sains Malaysia, Malaysia, 2015. M.S., Chemical Engineering, King Fahd University of Petroleum and Minerals, KSA, 2011. B.S., Chemical Engineering, Obafemi Awolowo University, Nigeria, 2005. Diploma, Computer Proficiency, Ultra Brains Institute of Information Technology, Nigeria, 2005. National Diploma, Chemical Engineering, Kaduna Polytechnic, Nigeria, 1998. J. K. Adewole, A. L. Ahmad (2017), Polymeric membrane materials selection for high-pressure CO2 removal from natural gas, Journal of Polymer Research, 24:70 (10.1007/s10965-017-1231-6). Abdullah S. Sultan, Jimoh K. Adewole, Amir Al-Ahmed, Mazen Nazal, S. M. Javaid Zaidi (2017), Preparation and Performance Evaluation of SPEEK/Polyaniline Composite Membrane for Direct Methanol Fuel Cell, International Polymer Processing, Vol. 32, No. 1, pp. 41-49, (DOI 10.3139/217.3259). Amir Al-Ahmed, Mazen Khaled Nazal, Abdullah S. Sultan, Jimoh K. Adewole, Syed Javaid Zaid (2016), Proton conducting blend membranes: physical, morphological and electronic properties, Polymer Bulletin, 74; 963 (DOI:10.1007/s00289-016-1756-6). J. K. Adewole, A. L. Ahmad, S. Ismail, C. P. Leo, A. S. Sultan (2015), Comparative Studies on the Effects of Casting Solvent on Physico – chemical and Gas Transport Properties of Dense Polysulfone Membrane used for CO2 Removal from CH4, Journal of Applied Polymer Science, Vol 132, pp 42205. Ahmad, J. K. Adewole, C. P. Leo, A. S. Sultan, S. Ismail (2014), Preparation and Gas Transport Properties of Dual – Layer Polysulfone Membranes for High-Pressure CO2 Removal from Natural Gas, Journal of Applied Polymer Science, Vol. 131 (20), pp 40924. Jimoh K. Adewole, Usamah A. Al-Mubaiyedh, Anwar Ul-Hamid, Abdulhadi A. Al-Juhani, Ibnelwaleed A. Hussein (2012), Bulk and surface mechanical properties of clay modified HDPE used in liner applications, Canadian Journal of Chemical Engineering, Vol. 90 (4) 1066–1078. Best Student, ND II Chemical Engineering, Kaduna Polytechnic, Nigeria 1997/1998. Recipient of Federal Government of Nigeria Scholarship, 2004. Recipient of King Fahd University Petroleum & Minerals, Dhahran Saudi Arabia MS Scholarship, 2009. Elsevier Outstanding Reviewer Status (International Journal of Greenhouse Gas Control), 2015.